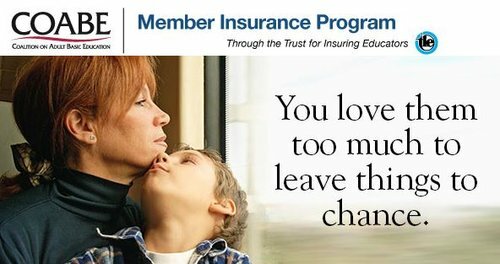 Your member insurance program offers many high-value plans chosen exclusively for your personal and professional needs. POP QUIZ: HOW WELL DO YOU KNOW YOUR LIABILITY? Even the best educators can find themselves at risk when it comes to an incident that wasn't exactly in the lesson plan. How well do you know your liability in the workplace? Safe or Sorry, a fun interactive quiz, puts your knowledge to the test. See if you make the grade. 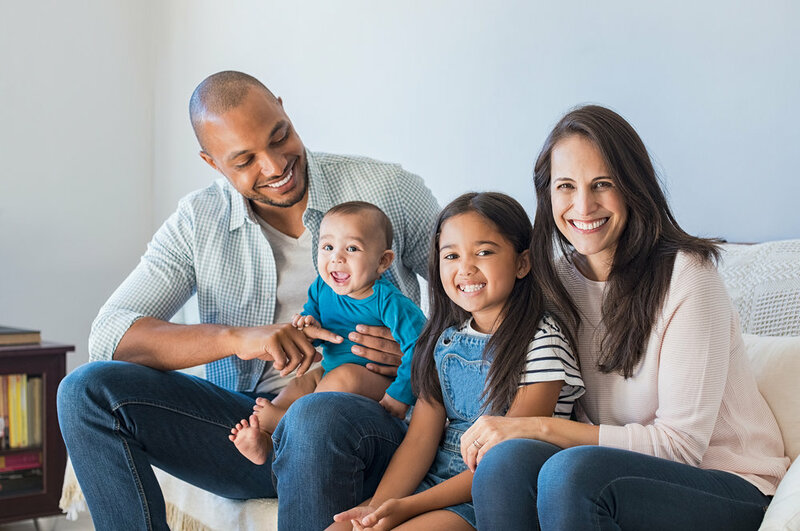 More than half of all Americans* are uninsured or say they don’t have enough life insurance ... because they overestimate the cost, they think life insurance is hard to get, or they just haven't taken the time. If the answer is yes, the solution to your "protection gap" may be the Group Term Life Insurance Plan sponsored by Coalition on Adult Basic Education. 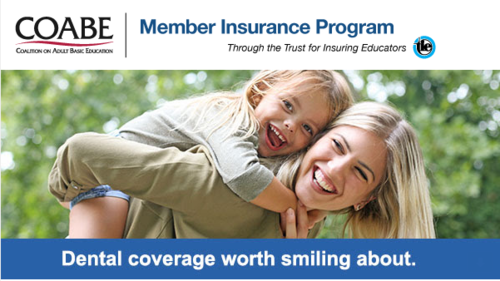 As a member of COABE, you can protect your smile with the Educators Dental Plan from MetLife, a leading provider of dental insurance. Keep up your oral health and get help paying for restorative care with an affordable plan from MetLife starting at just $27.45 per month*.